Grief can drive you to your knees, overtake you suddenly, and challenge you over and over again to find ways to simultaneously live and mourn. Its ability to exhaust us and to shake our stability seems to be greatest on special occasions. It is these landmark days that most challenge our ability to be present and find ways to make it through the day. They demand creativity when grief is at its most befuddling. 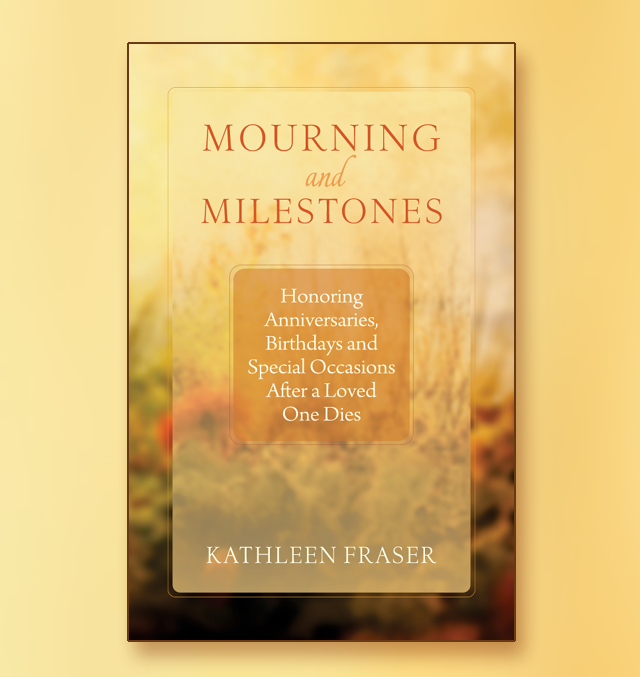 Mourning and Milestones: Honoring Anniversaries, Birthdays and Special Occasions After a Loved One Dies helps to ease the burden of invention for grievers who are searching for ways to both honor their loss and live in the present. Click here to purchase the book from Turning Stone Press.